Cost from USD$7607 per person for 10 nights including flights! On this itinerary you fly from Harare to Mana Pools and enjoy your first night in this beautiful destination alongside the Zambezi. The following day you embark on a 3 night walking expedition following the shoreline. You will stay in a luxurious mobile camp where you leave camp with the sunrise and leisurely walk your way to the next camp. Arriving at the next camp you will find an ice cold drink, hot shower and dinner being prepared. A safari on foot allows you to experience the wonders of nature from the tiniest insect to the mighty elephants that roam the valley. Rest up for one more night- mulling over what is sure to have been some incredible experiences! 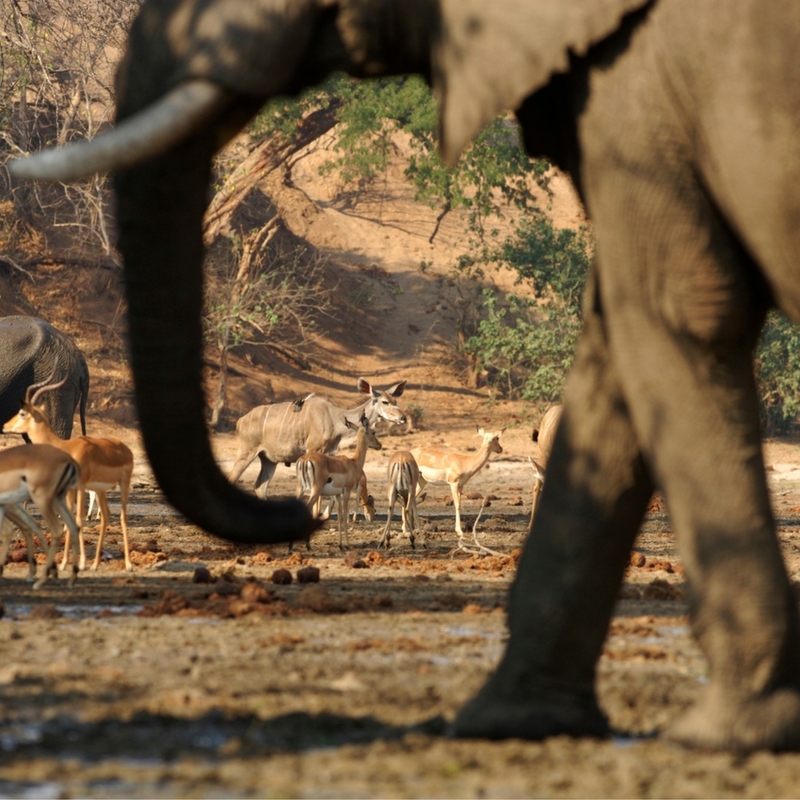 The following day take a charter plane from Mana Pools to the iconic Hwange National Park. Here you will embark on a second walking safari in a completely different environment. 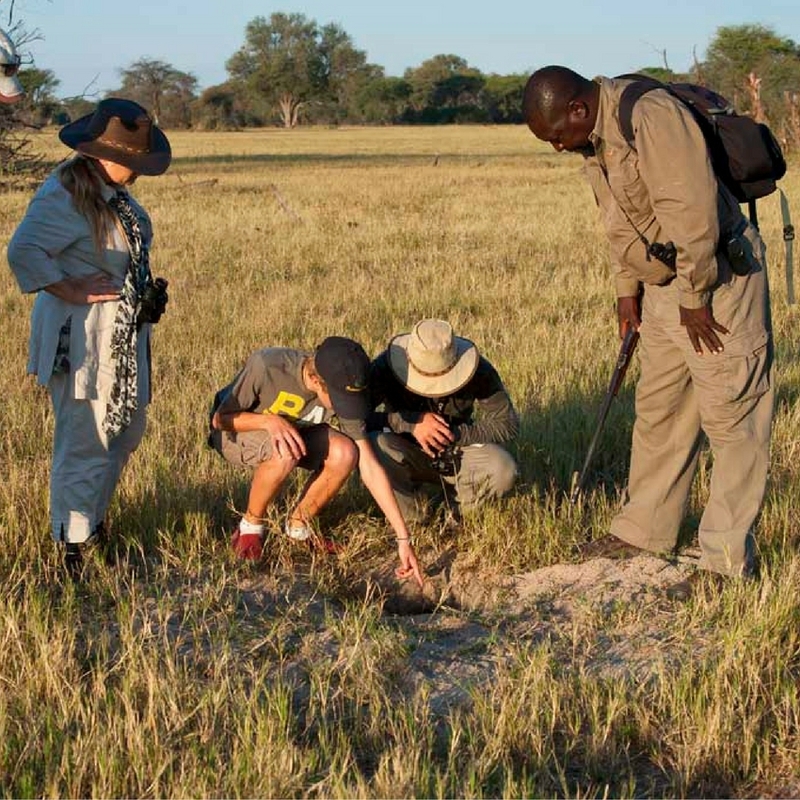 Set in one of the best areas for wildlife in Hwange, the Exploration offers a fabulous walking trail experience combined with roaming further afield by game vehicle. 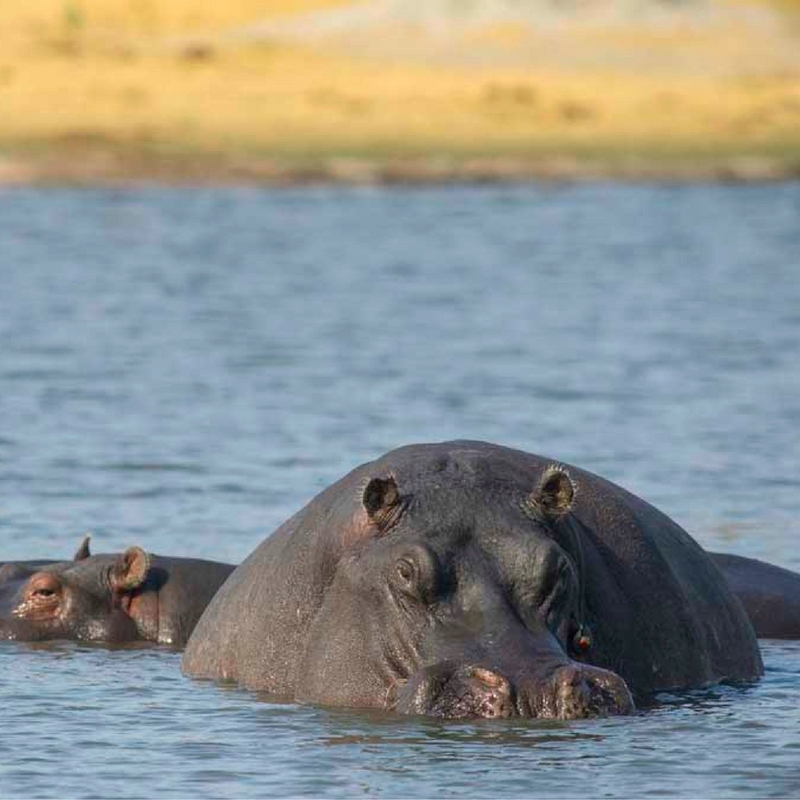 The private Linkwasha Concession, found in the south-eastern corner of Hwange, is one of the most abundant areas of the Park due to its wide range of habitats and thus equal diversity of wildlife that call it home. Stay at a mix of rustic hide accommodation and ultra luxurious camps giving you the best of both worlds before departing on a charter flight for Victoria Falls. 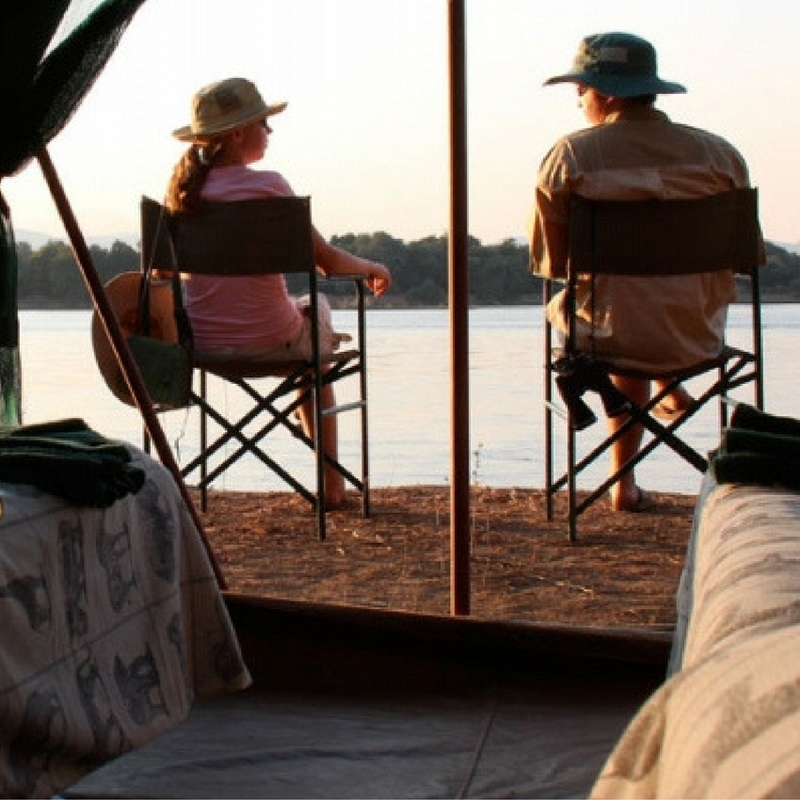 Camp Zambezi is a luxury static camp set up on the bank of the mighty Zambezi River. Guests can experience the full range of safari activities including game drives, canoeing and walking. With no set itinerary each trip can be customised to the expectations of each individual group. 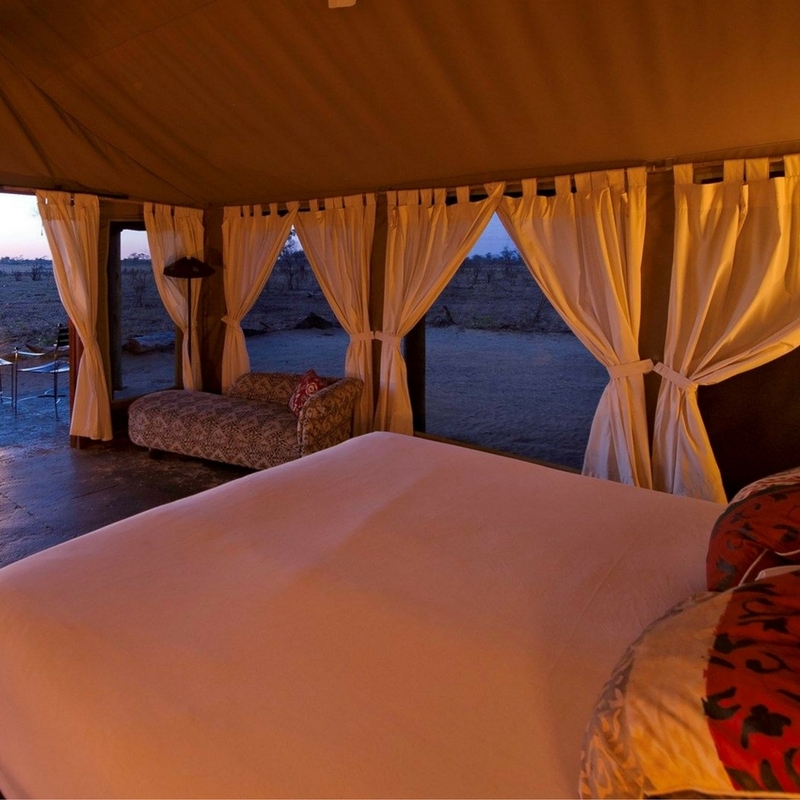 The camp is perfect for those wishing to relax before starting of finishing another Natureways Safari. Games drives are in open 4×4 Toyota Land Cruisers. These drives may take you away from the river, to investigate the different inland habitats and the diverse occupants that make up the ecology of the area. Walking to explore and learn about the area, with your Professional Guide it is the best way to experience the incredible diversity of animals, insects and flora at Mana Pools. The guide carries a weapon at all times. Mana Pools can provide some amazing experiences, if guests are looking for close encounters with game. Mana is famous for its bull elephants, and if you are lucky enough to encounter one of these gentle giants on foot, it is an experience never to forget! Canoeing is a wonderful way to take in the tranquillity of the bush, gliding past herds of animals often unaware or uncaring of your presence. Canoeing is done in 5.5m (18ft) Canadian style canoes, fitted with comfortable seats and cushions. This adventurous walking safari allows guests to get a real feel for Africa by getting their feet on the ground for a genuine trail experience. Set in one of the best areas for wildlife in Hwange, the Exploration offers a fabulous walking trail experience combined with roaming further afield by game vehicle. 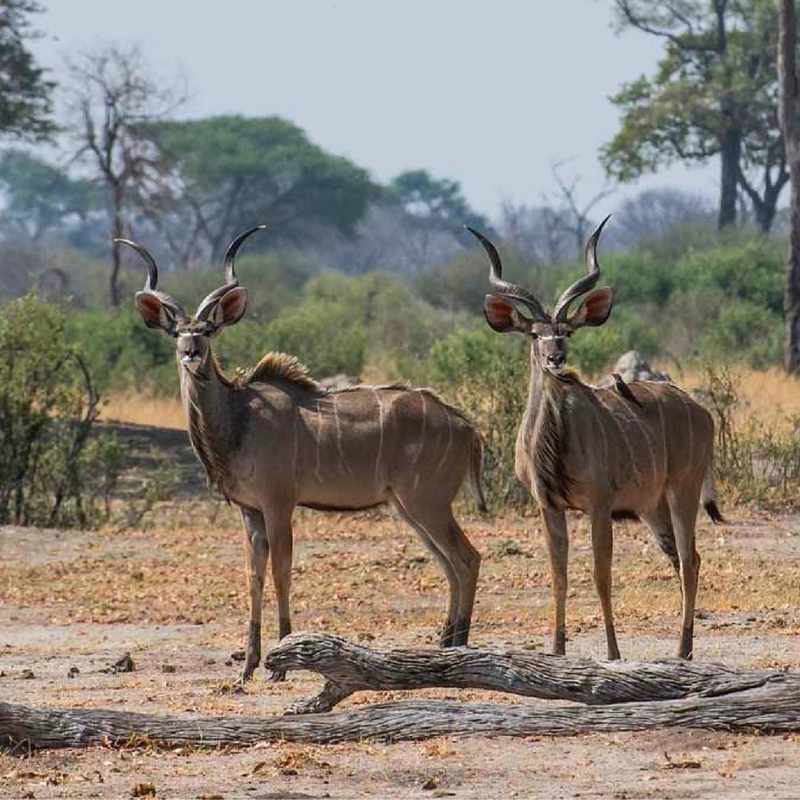 The private Linkwasha Concession, found in the south-eastern corner of Hwange, is one of the most abundant areas of the Park due to its wide range of habitats and thus equal diversity of wildlife that call it home. 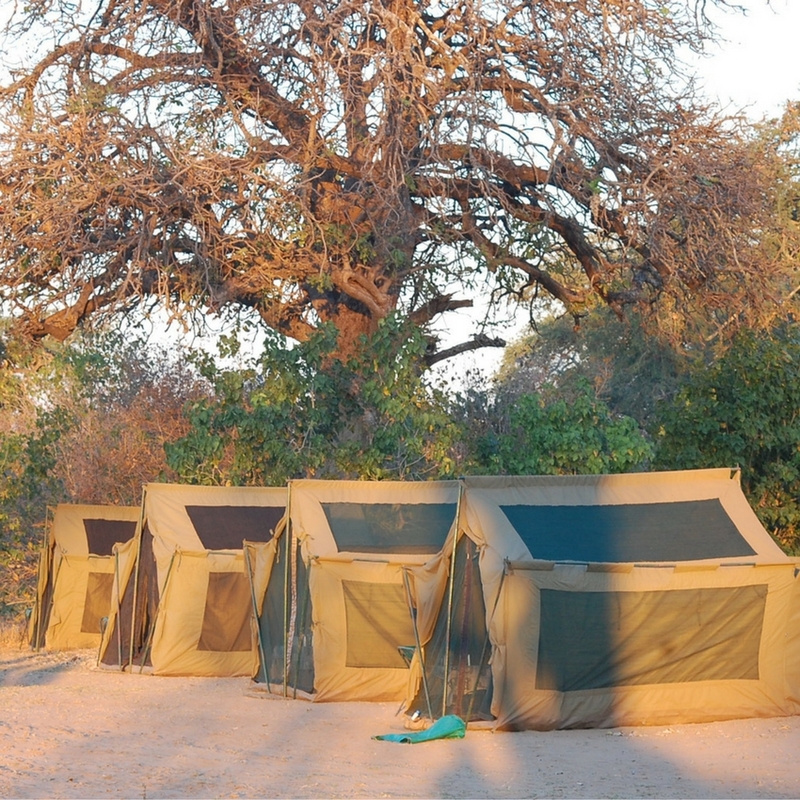 Linkwasha Camp is situated in a private concession in the best location in Hwange National Park. 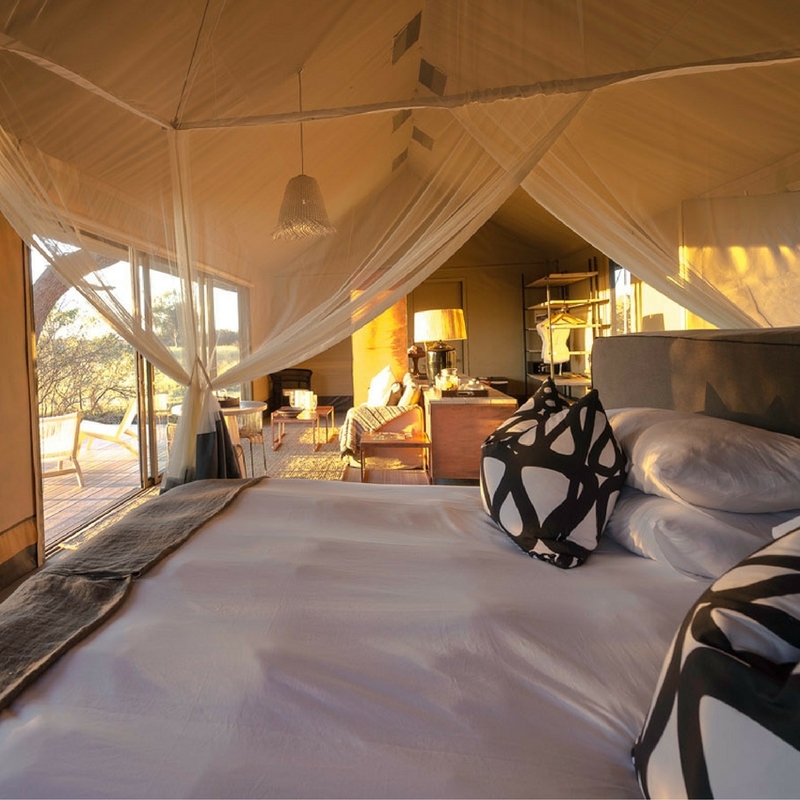 The camp is located near the famed Ngamo Plains, which offers fantastic game viewing year-round – to add to the already excellent viewing from the camp itself; Linkwasha overlooks a pan that is a magnet for game. The fresh, open and airy design of the camp is complemented by an eclectic mix of contemporary interiors. The nine luxurious en-suite tents (eight twin and one family) all have uninterrupted views of the scenic plain, while the main area includes various multi-level decks and a cosy winter lounge complete with fireplace and library, all overlooking the pan. Shaded salas surround an inviting pool. 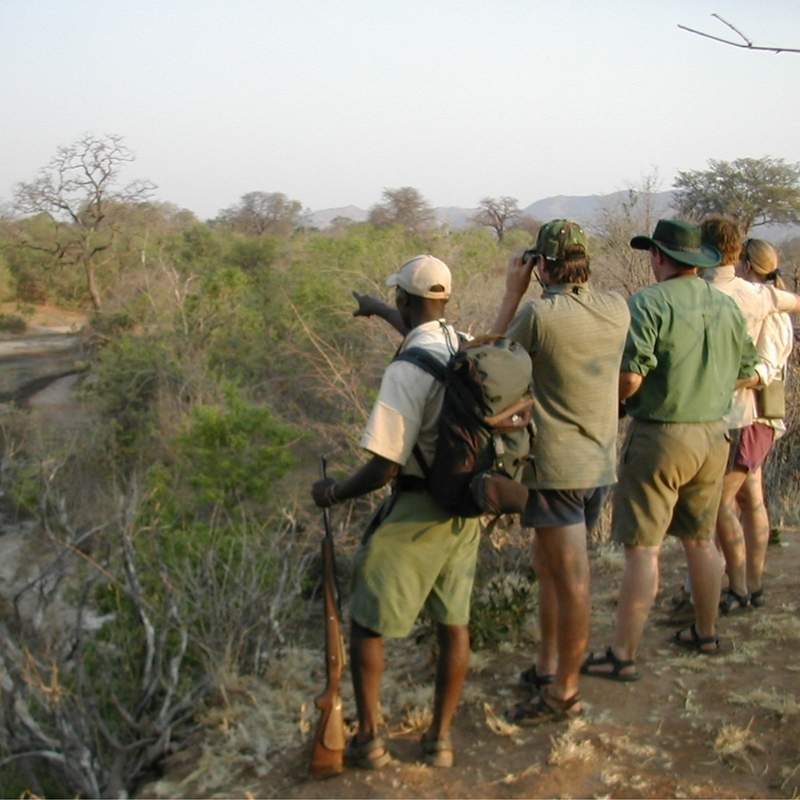 Activities include day and night game drives in open 4×4 vehicles and morning nature walks. A visit to the local village offers guests an authentic insight into the lives of the communities living on the edge of the Park. Cost from USD$7607 per person!